Home General Minutes of Annual General Conference of International Church of Christ Nigeria Held on 5th November, 2011 at 16/18, Akanbi Onitiri Close, Surulere, Lagos. The conference commenced at 10:35am with a brief welcome address by the Church Administrator Mr Sam Onuoha while the opening prayer was said by Mr Harry Taylor of the Kaduna Church. This was followed by the introduction of delegates by the Church Administrator. He also seized the opportunity to correct the error in the name of Mr Wilson Omoruyi a member of the Lagos Church Audit Committee which was inadvertently spelled as Omoregie. The Chairman welcomed the house and informed every one of the various achievements of the Church within the financial year. She also informed the house of the retirement of Mr Ayodeji Oyewolu from Ilorin Church, the representative of the South-West bloc comprising of Ilorin, Ibadan, Ijebu and Abeokuta Church and Introduced the new representative Mrs. Ogechi Babatolu for the bloc and the house ratified her appointment, she was asked to take her sit with the other members of the Board on stage. 1. North-Central Bloc led by Evangelist Okechukwu Emeka– Abuja, Kaduna, Jos. He said they had 27 baptism/restorations added to their number with Kaduna having 4 baptisms. The Jos Church had their first Women’s Day, Abuja Church has a total number of 5 zonal leaders, 1 sector leader (raised a couple), they also now have 2 sectoral Sunday services and a new church office. Evangelist Emeka emphasized the need to review Kids Kingdom materials to meet the needs of the people in the bloc. 2. 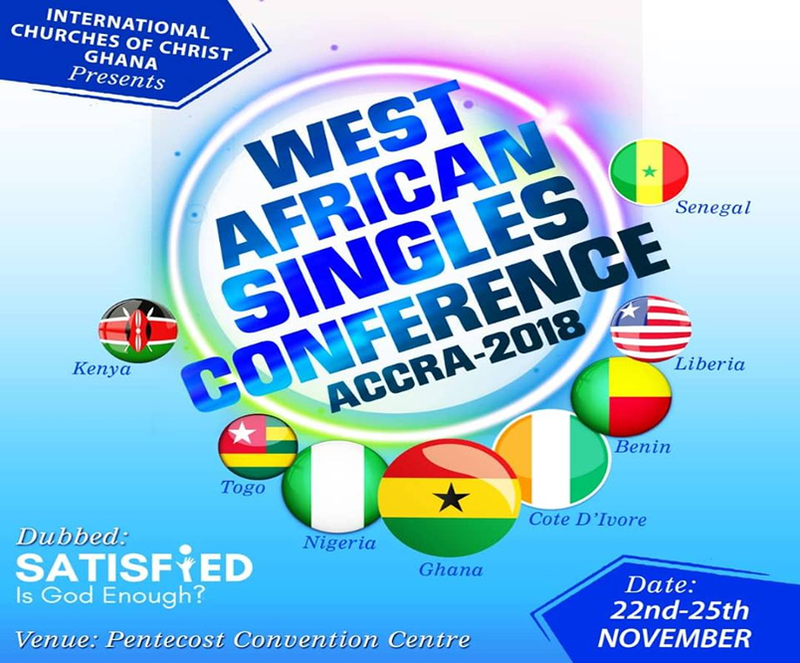 South-West Bloc led by Evangelist Bayo Ajadi- Ibadan, Abeokuta, Ijebu-Ode, Ilorin. The bloc started the year with 155 disciples and now has a current membership of 164. Had a special contribution goal of N1.5m and have given N1.7m as at the time of the AGC. 3. South-South Bloc led by Evangelist John Obaje-Warri, Benin, Asaba, Uyo, Calabar, Portharcourt, Yenagoa. He mentioned that there would be a Campus Ministry as they face the challenge of graduates who leave the zone in search of greener pastures thereby leaving a void in the development and expansion of the ministry. 4. Lagos Bloc-this was given by the Assistant Lead Evangelist of the Church in Nigeria Fred George. The high point of his address was the giving (tithe) of the bloc which hit N99m, about N3m more than the budget for the 2011 financial year. Administrator’s address. He introduced the new Programme Manager of ICOC Accord in the person of Mrs Chijioke Udom. In his report he mentioned that the Church office has relocated to its new site at Ikeja, and presented his speech. The Administrator presented the audit report with an income of N212, 258,528 and expense of N204, 785,870 with an excess fund of N88, 440,116. After the presentation, the Audit report was then adopted by majority of members endorsement, while the auditor Ken. Ohore & Co. were unanimously re-appointed for the next financial year as the church auditors. Mr Abolade Abolarinwa leader of Ilorin Church would like to know if it was possible for churches outside Lagos to get soft copies (compact discs) of the new set of songs to afford them an opportunity to learn the songs. Mr Dayo Adesina of the Ogba-Agege Region of the Lagos Church expressed concern about the possibility of abuse of power by some of our leaders as a result of the leadership structure we adopt as a church. He advised the Board to look into this. Dr Biodun Abatan administrator of Abuja Church suggested the idea of mass land acquisition by the Church to be sold to disciples at some point. He also posited that the empowerment fund be converted to scholarship fund for people to be truly economically empowered. On the issue of hierarchy, Evangelist Okechukwu Emeka who leads the Abuja Church would not want to be addressed as an evangelist saying this had never bothered him as he had always seen it as more of a responsibility than a title. Mr Frank Okodugha who serves as a congregational minister in the Apapa Sector of Ojo-Apapa Region in Lagos suggested minutes is taken at the AGC, adding that issues raised should come up as ‘matters arising’ at the next Conference. He also emphasized the need for the Board of Trustees to earmark sufficient fund for evangelism on an annual basis by printing invitation cards for disciples’ use. Mr Victor Ajufo of the Asaba Church said he never received the audit report; that a very high percentage of disciples did not have time to peruse it before the AGC. The Lead Evangelist Chris Ogbonnaya addressed the issue of titles (hierarchy) among the full time ministry staff by saying there was no cause for alarm. On the issue of mass land purchase, the Chairman promised that a committee would be set up to look into it. She also said that the Board would consider the issue of funding invitation cards for disciples’ use. She also emphasized the important role Empowerment Programme plays in the church; that it’s an ongoing project. Therefore, Scholarship Programme would specifically take care of scholarships and that plans were in progress for funds to be made available for this. On the Asaba Church court case, the Chairman made it known that it was extensively discussed at the meeting of the Board on 4th November, 2011 and that the church legal adviser was actually sent to Asaba by the Board at some point with a view to getting first-hand information about the matter. Upon his return, he (Mr Odubela) had advised that in order to cut cost, an Asaba-based lawyer should be hired to take up the case. This was done and he had been in touch with the lawyer since then. Mrs. Stella Emeka of the Abuja Church would like to know what became of the proposed school establishment project. Mr Eyo of the Surulere Region of the Lagos Church was of the opinion that the Church, rather than manage the Empowerment Fund, should get in touch with registered organized groups who could help disciples to access the fund. He suggested a business/professional body in the church be saddled with such responsibility. Mrs. Anthony, from the Sarah Mother ministry of the Shomolu-Mushin Region was of the opinion that giving award to members of the full time ministry as a reward of service(I.e. long service award) ‘was not proper’ in the eyes of God; adding that man cannot see the hearts of his fellow men. Mr Isaac Ogbole of the Surulere Region of the Lagos Church commended the Board of Trustees for their hearts of service. He, however, wanted the Board to expedite action on the Jobi Fele building project. Mr Bassey Essien of the Ojo-Apapa Region expressed his appreciation on the good job the Board is doing. He also commended the Leadership Group on the AIM programme. He posited that discipling has lost its steam in our fellowship while calling on the Lead Evangelist to give the Church a direction/perspective with a view to restoring the Church back to discipling. He also advised that the Church should have a strategy & planning committee who would be saddled with the responsibility of standardizing our church services, the type of facility and also the sound system. Jide Akinjimi (from Ogba-Agege Region) wanted to know if there were any clear-cut plans in place for ‘progression’ in our full time staff leadership structure. Innocent Metu of the Ojo-Apapa Region raised an issue that had to do with favouritism; he apparently had had a personal experience with a number of disciples, an issue which had already been dealt with. – The Board would make every effort to see to the completion of Jobi Fele facility. – That every disciple was responsible to seek help when the needed. – The empowerment issue would be looked into where grants could be given to small groups. – On school issue, the Church was not granted permission to run one by the Ministry of Physical Planning as none of the structures we use for church services presently were originally built for that purpose. – In the area of effective communication and standardization of our church services, efforts would be geared towards that in the coming years as the church finances improve. – The need for the Church sound system to be overhauled was re-emphasized with so many needs competing to have a share of the tithe funds. – Suggested for there to be Music Sunday service that would be geared towards raising fund for the Music Ministry. – Awards are given to staffs who have served the church meritoriously to encourage them to do better and also to recognize their services and there is nothing wrong in appreciating the staff. Miss Biodun Olowo-Ake (Ilorin Church) – appealed to the Lagos Church to send those who lead the Lagos Choir to Ilorin to help train their choir. She also suggested that sermons be interpreted to reach out to those who do not understand the English language. Mr Bayo Robert of the Shomolu-Mushin Region wanted the Church to commit more funds to cause of the poor. Darwin Orhewere of the Surulere Region was of the opinion that people who are skilled and are well-trained should be the only ones allowed to handle the church musical instruments and the general sound system to enhance the quality of the Music Ministry. He also stressed the need for a robust empowerment and capacity-building programme for disciples. – Invitations should be extended to professional singers. – The Leadership Group should commit money to some self-help initiatives. – There should be a global agenda for skills acquisition. – ICT training would receive proper attention. A motion for adjournment was moved by Mr Frank Okodugha and seconded by Miss Biola Balogun as the 2011 AGC of the International Church of Christ Nigeria came to an end with a closing prayer said by Mr Omoruyi Iyamu (an elder) at 2:35pm.